Despite lower than expected sales, Android tablets remain hot favourites of the handsets vendors – this further gains ground if we look at the number of tablets lined up for launch this year. Moreover, these new tablets are likely to come with better design and features. Eyeing the increasing competition, we may also expect manufacturers to keep the prices very reasonable. This one has already been announced and will be available within next 10-15 days in India. The biggest USP of this tablet is its form factor. It has two screens measuring 5 inch each; together they give you 10 inch space and when folded gives you a form factor of a large smartphone. How it performs in the market is something that needs to seen but this PSP (Playstation) certified certainly has a lot going for it. 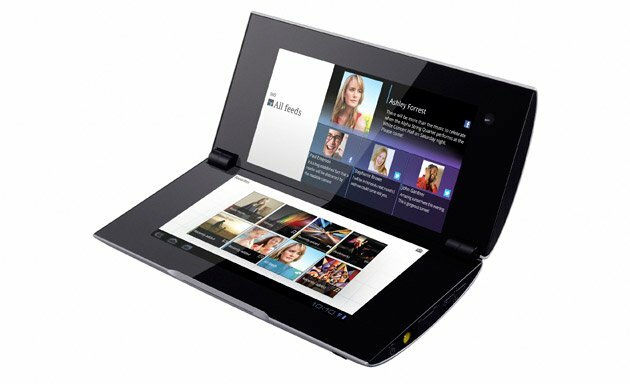 Under the skin, this tablet houses a dual-core Nvidia Tegra 2 mobile processor and runs on Android Honeycomb OS. Sony P has a 5 megapixel camera at the back and a 0.3 megapixel camera in the front. It has quite a unique design and the interface is programmed to use both the screens combined and individually. The device, with both 3G and WiFi connectivity, will cost Rs 36,990 but might not be liked by many users because in a time when high end feature phones come with around 4 GB of internal memory they would expect a tablet to have minimum 16 GB of internal storage capacity.